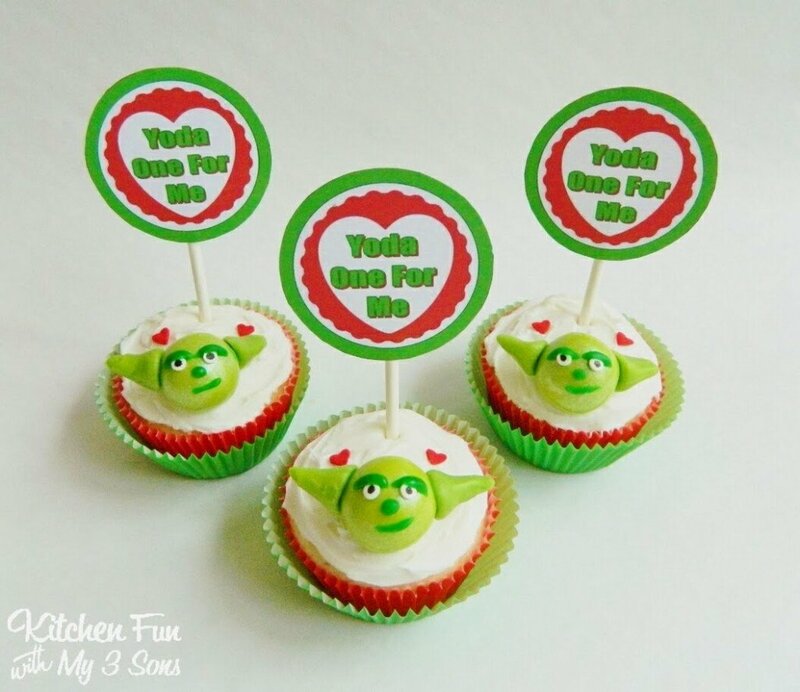 Star Wars Yoda Cupcakes for Valentine’s Day including a FREE Printable! Start out by making your cupcakes using the directions on the box. Frost when they are completely cooled. Put a dot on the white sprinkles using the edible marker. 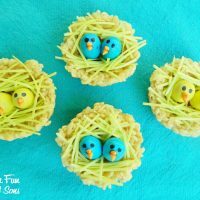 Attach them on the green gumball using the green icing. 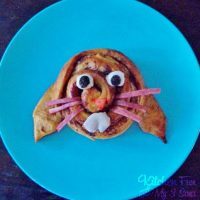 Then make his eye lids, nose, & lips using the icing. We put a lime Tootsie Roll in the microwave for 7 seconds. Cut it down the middle then cut those halves in another half using kitchen scissors. Shape the pieces into his ears using your hands & then press it against the gumball. Attach with the frosting. We also added heart sprinkles on top. You could also use this idea for a Star Wars party as well! 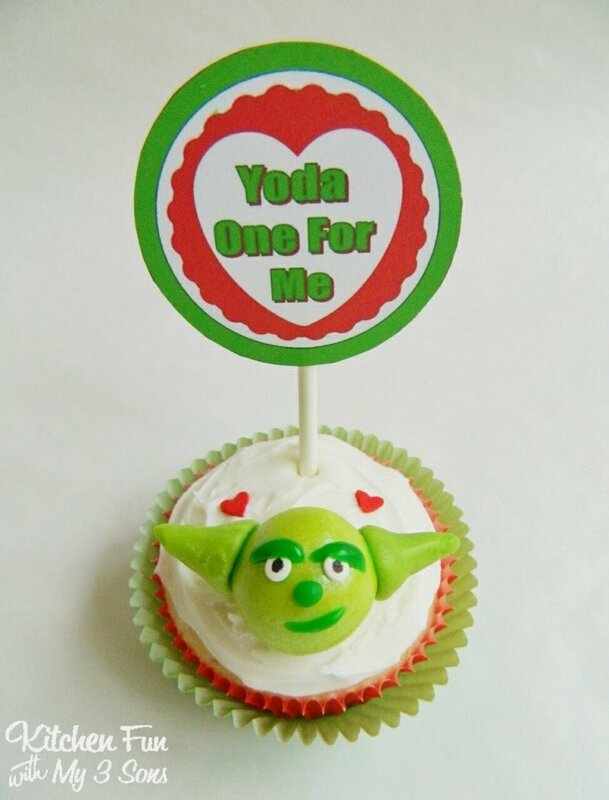 Here is the Yoda printable. Print to desired size, cut out, & tape to a lollipop stick…. 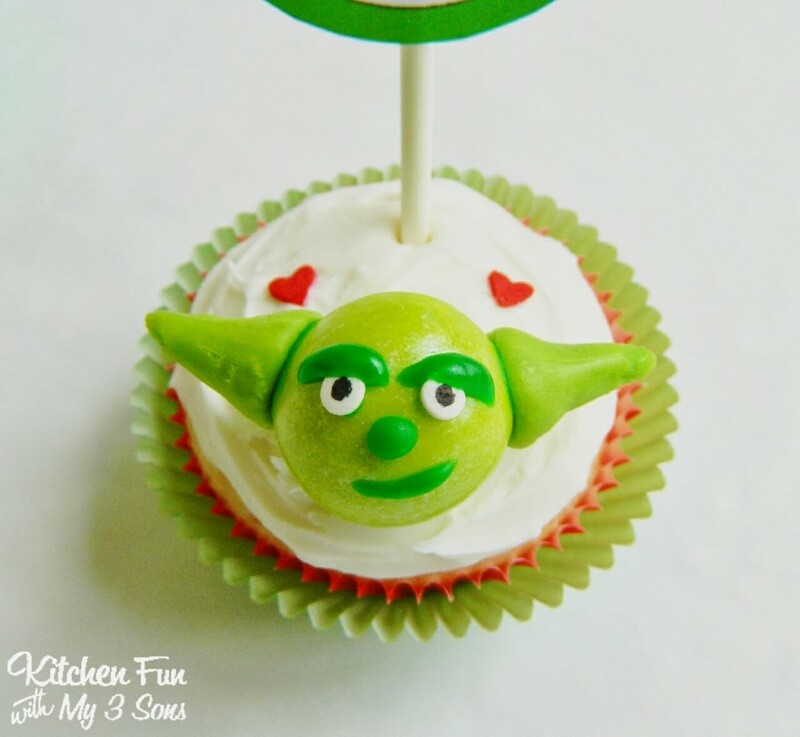 You can view all of our other Star Wars fun food ideas HERE! 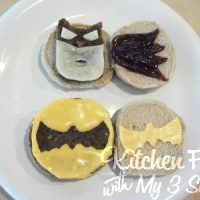 You can view all of our other Valentines fun food ideas HERE! You are on a roll with these! 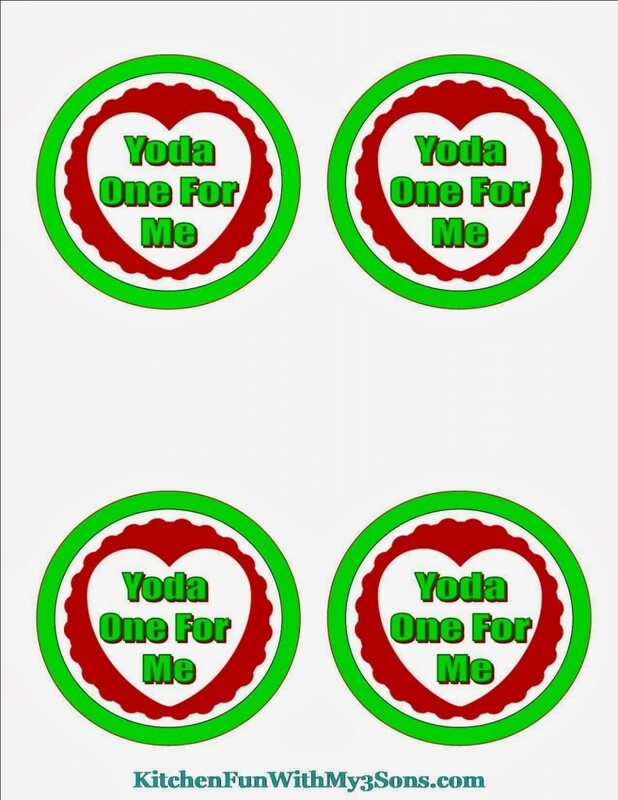 love little yodas! How fun! Love these! Gotta love Yoda!